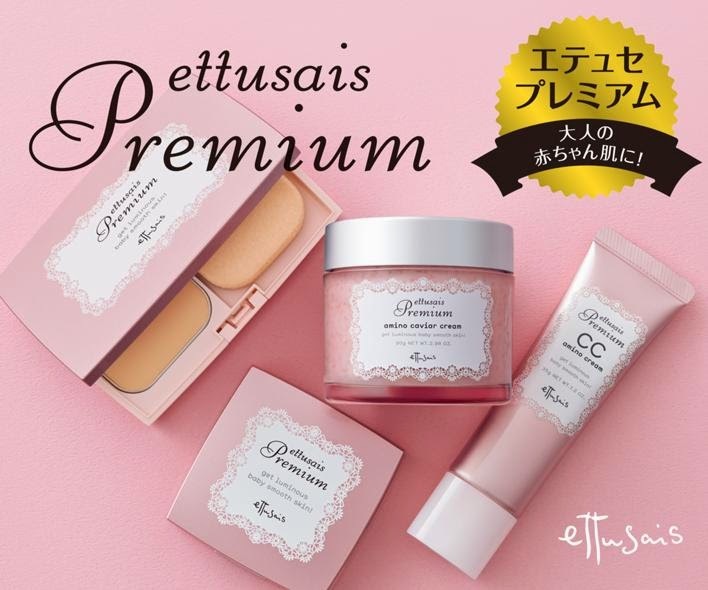 Ettusais will release a new Premium line designed for ladies in their 30s on 11 September in Japan. Designed to meet their typical skin concerns such as the lack of skin translucency and obvious pores, the Amino Caviar Cream (3200yen, 90g) is supposed to be all-in-one gel cream with seven functions including lotion, beauty serum, pack mask, primer etc. It is formulated with an 'amino premium 7 complex' that includes collagen, hyaluronic acid, royal jelly and three types of amino acids for hydrating benefits. The range also includes a CC Amino Cream (2300yen, 35g), Chiffon Foundation Set SPF20 PA++ (3800yen, 3 shades) and two-toned Luminous Powder (2800yen). this looks great! i'd be interested to try it.